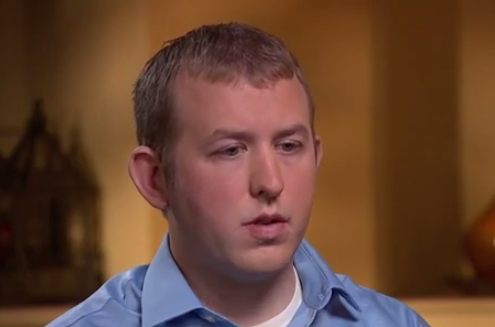 Darren Wilson, the Ferguson, Missouri police officer who shot and killed Michael Brown on 9 August 2014. On 24 November a grand jury reached the decision to not indict Officer Wilson. The above interview of Mr. Wilson by George Stephanopoulos was published yesterday. 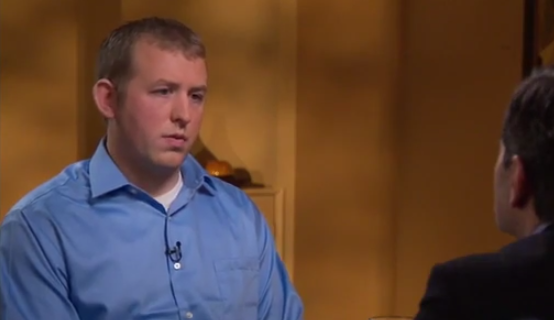 What follows is a partial nonverbal analysis specifically addressing Darren Wilson's remorse. At 4:35, Stephanopolous asks, "Do you feel any remorse?" Darren Wilson answers, "Everyone feels remorse when ... a life's lost...... Like I told you before, I never wanted to take anyone's life..... You know that's not - the good part of the job - that's the bad part of the job. So yes, there is remorse." At no time during this video does Mr. Wilson exhibit any nonverbal signs of remorse or empathy. In emotional scenarios of sincere apology as well as sincere remorse, the central forehead contracts upward (CFC or CFCU). This body language-facial expression cluster was completely absent. This is extremely profound. This lack of nonverbal signs of sincere remorse is also consistent with Mr. Wilson's statements. For example, when Wilson says, "Everyone feels remorse when ... a life's lost" (rather than, "Yes, I feel remorse" or "I feel a great loss, even though I did my job - a human being died", etc.). Also, "So yes, there is remorse." (Again, a lack of the word "I" is exhibited here - Wilson is talking about himself in the third person). These are examples of distancing language - Wilson is speaking about himself in the third person. He feels no remorse. In summary, Officer Darren Wilson did not feel any remorse for the killing of Michael Brown during the above interview/video. His empathy quotient is very close to zero. 4:38, First time Officer Wilson says, "... remorse ...". Just as this entire video interview - no remorse or empathy is shown. His words are entirely inconsistent with his body language or his vocal qualities. No remorse and essentially zero empathy.